Athletic seniors in the news are blasting through the typical barriers of age into new levels of physical performance. This month we celebrate a San Diego Rock’n’Roll Marathon nonagenarian record-setter, a 70-year-old Imperial Beach lifeguard, and the world’s oldest yoga teacher who just gave her debut TEDx talk! 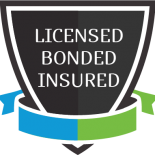 Whether your loved one is taking the stage or the dais to accept accolades, or simply wants to live a full and independent life, they will value the support offered by home care companions. Working with the San Diego home care agency Casa Companion Homecare Solutions can help your loved one pursue inspiring dreams like these seniors! At age 96 Tao Porchon-Lynch is the world’s oldest active yoga instructor, and an award-winning competitive ballroom dancer whose 26-year-old instructor admits he has trouble keeping up with her sometimes. After a childhood in pre-war India, and a cabaret career in WWII-era London, Tao moved to Hollywood after the war and appeared in a few movies under the studio system, including Show Boat. After giving up acting and becoming a professional yogi, she began her long career as a teacher – at one time she even taught Jack LaLanne! In July 2014, she gave her first TEDx Talk, called “There is nothing you cannot do,” at Columbia University in New York, along with such luminaries as Paul Krugman, Joel Klein, and Joseph Stiglitz. Her philosophy is, “Don’t let age dictate what you can and cannot do.” Certified by Guinness as ‘the world’s oldest’ in 2012, she is still teaching classes at the Westchester Institute of Yoga, which she opened 1982, and certifying yoga teachers. Tao began practicing yoga at age 8, and has no plans to give up practicing or teaching yoga. Harriette Thompson rocked the San Diego Rock’n’Roll Marathon on June 1, 2014, not just because she finished the course in 7 hours, 7 minutes and 42 seconds. 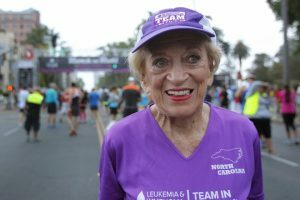 Harriette rocked it because she’s 91, and her time shattered the previous marathon record by a nonagenarian woman by more than 100 minutes. And she raised $90,000 for the Leukemia & Lymphoma Society as part of their Team In Training program. A former concert pianist, Harriette and her husband live in Charlotte, N.C., but travel to San Diego every year for the marathon to raise money for The Leukemia & Lymphoma Society. Cancer runs in her family, and her brother died in February from lymphoma. Harriette plans to compete in next year’s marathon ‘if she’s alive and able to compete’ and hopes to do better, since this year she battled skin cancer, undergoing several radiation treatments about a month before the race. Thomas ‘Benny’ Holt became a lifeguard for the city of Imperial Beach at age 24, and retired in March 2014 at the age of 70. Benny spent 47 years as a part-time lifeguard, spending seven months of the year on the beach helping people and saving lives. The rest of the year he worked as a substitute teacher and assistant cross country and track coach at a local high school, which allowed him to continue to lifeguard and do the work he loves. Benny was born in Imperial Beach, and after high school joined the Air Force, where he first started lifeguarding in Turkey. After returning home, he joined the lifeguards in Imperial Beach, and never left. As the current lifeguard captain, Robert Stabenow, says, “You don’t see that anymore. This is the first lifeguard we’ve ever really retired.” There’s no word from Benny about his future plans, but it seems unlikely that the self-described beach bum plans to give up the beach anytime soon.